Elanore Bramble owns the Brick Oven Bakery and wears a special shop manager uniform. She wakes up early every morning to serve everyone in the village wonderful bread. 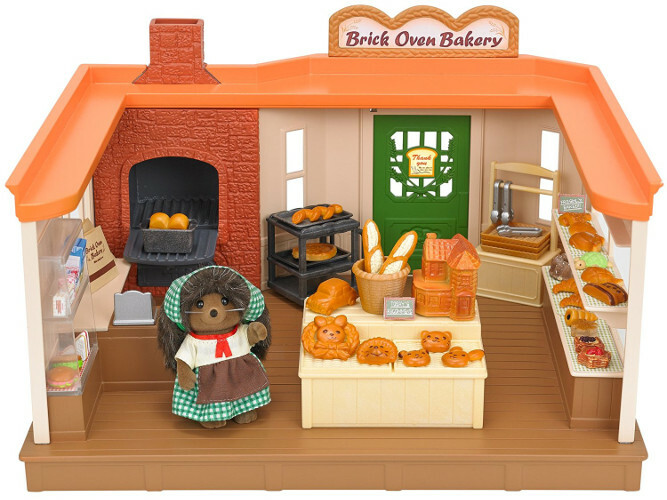 This Bakery is also famous for having an oven made of red bricks. Set includes over 50 pieces including shelves, register, basket, milk, butter, cheese, blackboards, baking trays, paper bags, tongs, pieces of bread plus more accessories.